What’s smooth, durable, and can hold ten-thousand pound vehicles without breaking? No, not the Incredible Hulk! Asphalt. Asphalt is an incredibly durable, yet simple, solution to provide groundwork for roads, parking lots, and tarmacs alike. American Sealcoating & Maintenance is well accustomed to all of the benefits that a good asphalt job can provide for drivers everywhere. Without asphalt, transportation wouldn’t quite be where it is today. However, it’s important to know that there are multiple types of asphalts and each have their own levels of durability. For instance, the blacktop on a private driveway is going to be made differently than that on an airport runway, and for good reasons. 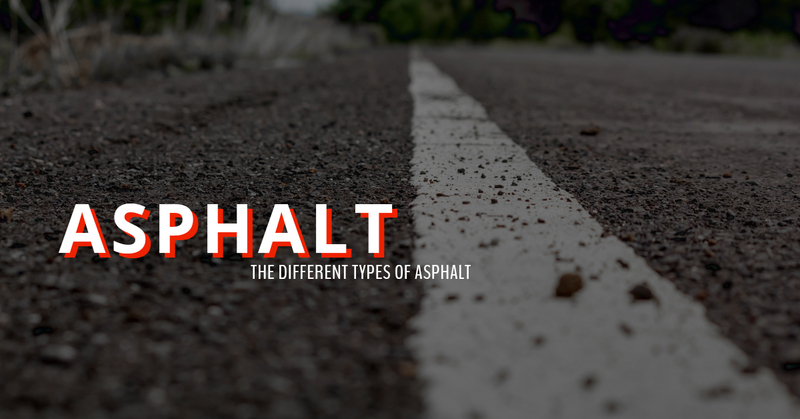 Here are some asphalt types that we’re familiar with. If highway managers were constantly updating the blacktop on the road, people would never be able to get to where they need to go. In addition to the sheer inconvenience of having to update roadways constantly, the costs associated with it would also add up. Taxpayers wouldn’t be happy. For this reason, engineers designed and constructed asphalt that would withstand the wear and tear of roads and that require minimal maintenance. Perpetual pavement implementation utilizes layering techniques of separate asphalt mixtures that each serve different purposes. The layering helps to prevent cracks caused by driving, weather, and the sun! In the Windy City and surrounding areas, rain and snow is all too common. Because rain has a tendency to break down asphalt, it makes sense to construct an asphalt that can withstand the rain. Parking lots and driveways are especially susceptible to collecting puddles, as they’re not constantly being driven on. 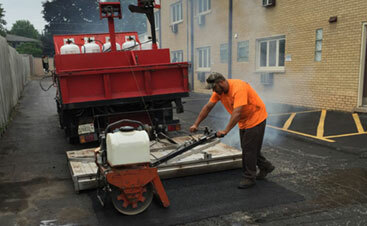 For these types of blacktop surfaces, porous asphalt is often installed. Porous asphalt is designed to drain rainwater through pores and empty the excess water into the soil. This innovative design has been a strong force against the rain that too often breaks down asphalt concrete, causing potholes and cracks. As NAPA says, “thin is in.” Thin overlays are an asphalt design meant to help preserve the shelf-life of asphalt concrete and blacktop. Thin overlays, or “thinlays,” are environmentally and economically friendly as they provide a protective layer to the pavement that helps reduce noise, reduce the need for maintenance and restructuring, prevent potholes and cracks, and make the road work much easier and smoother to drive on. Thin overlays provide an excellent, cost effective way to protect your asphalt! 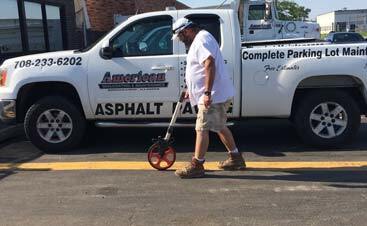 To learn more about how thin overlays could work for your pavement, call American Sealcoating & Maintenance. Our asphalt company is well experiences in what might be best for the job! Sneaky, sneaky! Asphalt, in and of itself, is naturally great at lowering the amount of noise pollution and there are certain design tactics that can keep road sounds to an absolute minimum. 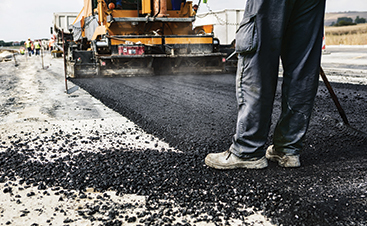 The National Asphalt Association (NAPA) states that stone-matrix asphalt or open-graded friction course mix can reduce highway noise by two decibels or more. If you’ve ever lived in a busy city or by a highway, you’re probably well aware of how noisy things can get during busy hours. Therefore, implementing one of these blacktop types onto a road or highway can make the area just a little bit more bearable. We like our Earth and American Sealcoating & Maintenance takes as many precautions as possible to ensure that the planet doesn’t shrivel up and die. One of the many ways to help reduce fuel emissions that arise from installing blacktop is to use warm-mix asphalt. When putting down asphalt concrete, it’s common to heat up the asphalt to extremely hot temperatures so as to melt it and make it malleable. However, this process usually requires a hefty fuel input that can produce greenhouse gasses which contribute to pollution and global climate change. Warm-mix asphalt is able to be melted at much lower temperatures, and therefore requires much less fuel to power the process. Driveways and parking lots are designed to withstand the pressures of vehicles that way thousands of pounds as well as the harsh elements that the Midwest likes to throw at us. Therefore, in order to keep your driveway or lot protected from the threat of cracks and holes, it’s best to use a special mix that’s designed to withstand both weight and vehicles alike. Driveway mix is engineered for these exact reasons using a mix of materials including gravel. Again, we love the Earth! Luckily, because asphalt is so malleable and can be melted down easily, it’s an easy material to recycle and use elsewhere. Additionally, using recycled asphalt helps to reduce the costs of paving! The materials are usually taken from older roads to facilities where they’re then broken down, purified, and prepared for repurpose! Recycled asphalt is nonetheless durable and is a great cost-effective alternative to a new pavement job! While all of these pavement types are pretty neat (at least we think so), our company also believes in the power of sealcoating…it is in our name! Sealcoating is a perfect mechanism to top off any asphalt job and prevent potholes and cracks from forming. Sealcoating paired with a strategic use of asphalt is a road or driveway’s best line of defense against the elements! We hope that this blog was informative and that you’ve gained a better understanding of the technology behind asphalt! Thanks for reading and make sure to check back regularly for updates.